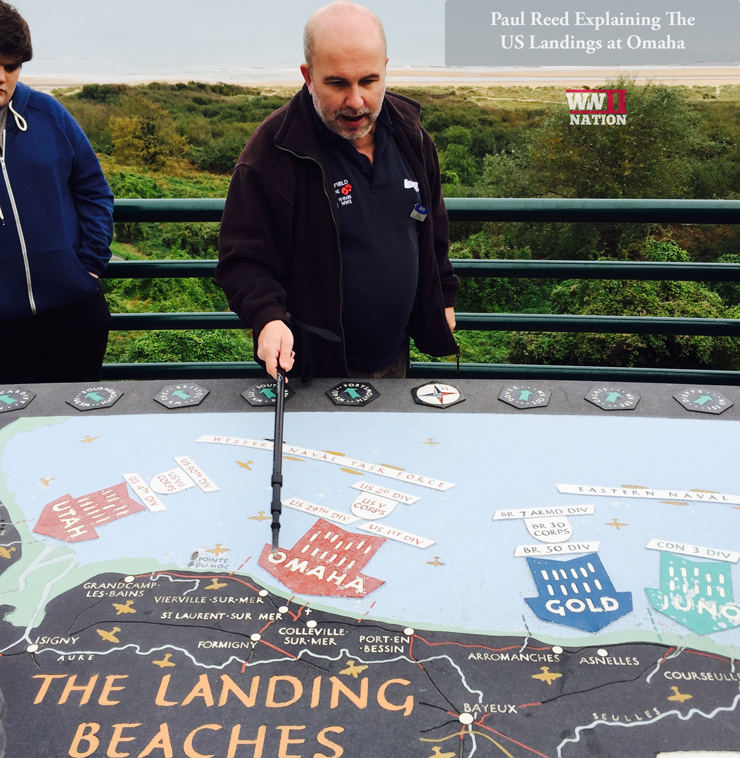 Day Two of our Trip with Paul Reed and Leger Holidays saw us travelling to the American sector in Normandy to learn more about the US role on D-Day. 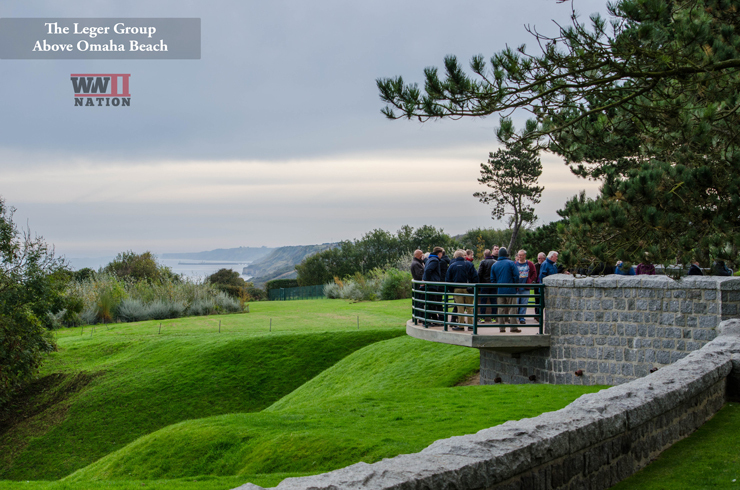 However, before we ventured to the American Cemetery overlooking Omaha Beach, we started Day Two looking at the importance of logistics in the Normandy campaign with a visit to the Mulberry Harbour at Arromanches besides Gold Beach. 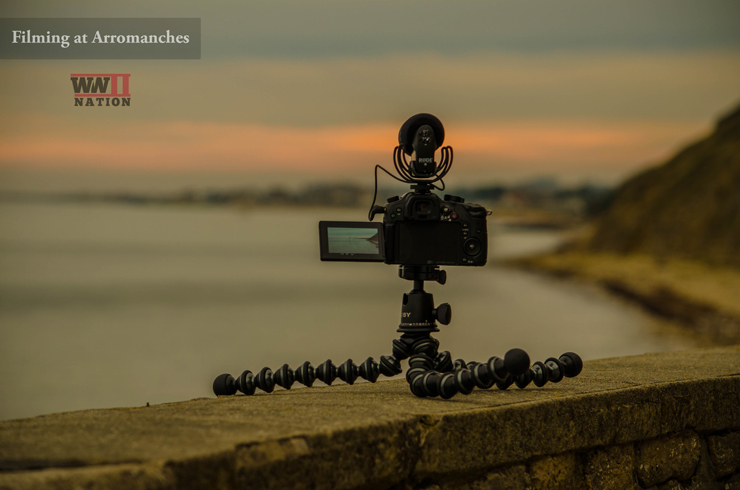 Trying to make the most of the lovely early morning light, Ross setup the camera for the time-lapse scene in the Day Two Video. 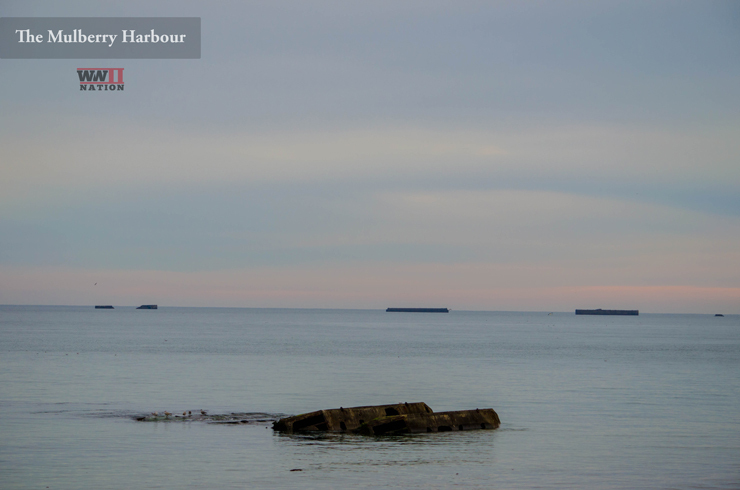 While doing this, I ventured further up the hill to try and get a better look at the remnants of the Mulberry Harbour. The Mulberry Harbour was an artificial port that the Allies brought with them and assembled in Normandy, once completed it was bigger than that of Dover. It was designed to help supply the troops and allow more men and materials to be poured into the bridgehead following the landings on D-Day. In fact it was used all the way up until VE Day to bring supplies ashore, even when the troops were fighting 100s of miles away in Belgian, Holland and Germany. 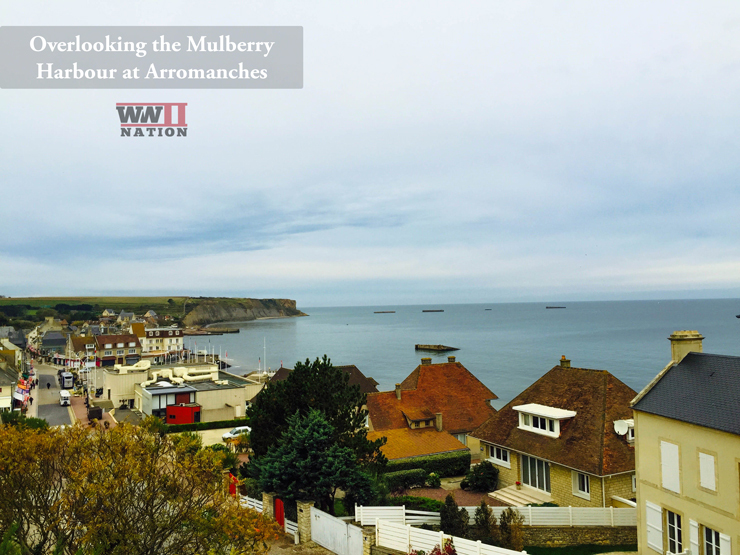 I was interested to learn from Paul that there was in fact two Mulberry Harbours that the Allies created. 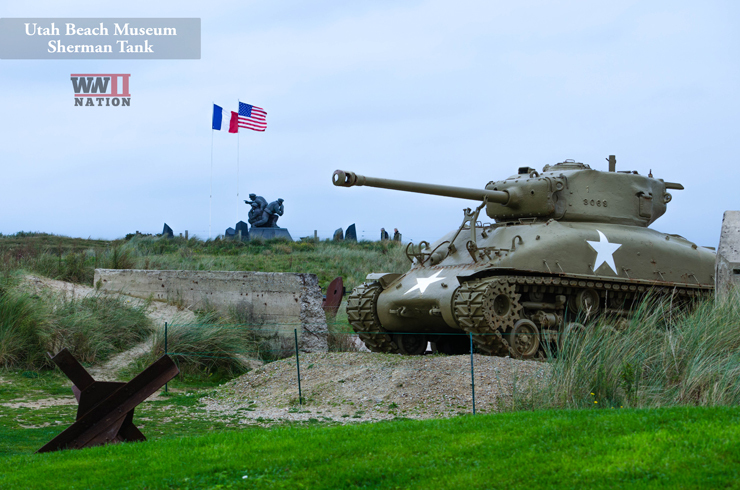 As shown here, there was the one located in the British & Canadian Sector at Arromanches near Gold Beach which was nicknamed ‘Port Winston,’ and there was also one in the US Sector at Omaha Beach. However following the terrible storms on June 19th the one at Omaha was completely destroyed, and although damaged, the British one survived, so parts were salvaged from Omaha and utilised to repair the one at Arromanches. 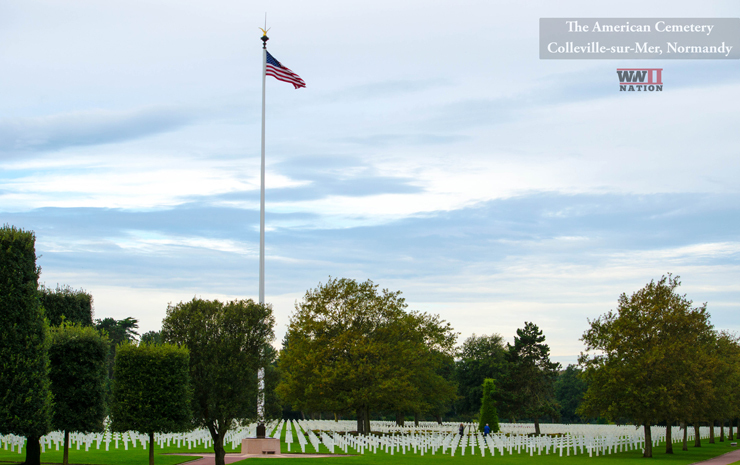 From Arromanches we travelled down the coast and turned our attention to the American role during the Normandy landings, starting with a visit to the US Cemetery on the hills overlooking Omaha Beach at Colleville-sur-Mer. Here you can see the Leger Group learning all about the US 29th & 1st Infantry Divisions landings here on Omaha on the 6th June 1944. It is also remarkable how different the terrain is here in comparison to the other D-Day landing beaches. 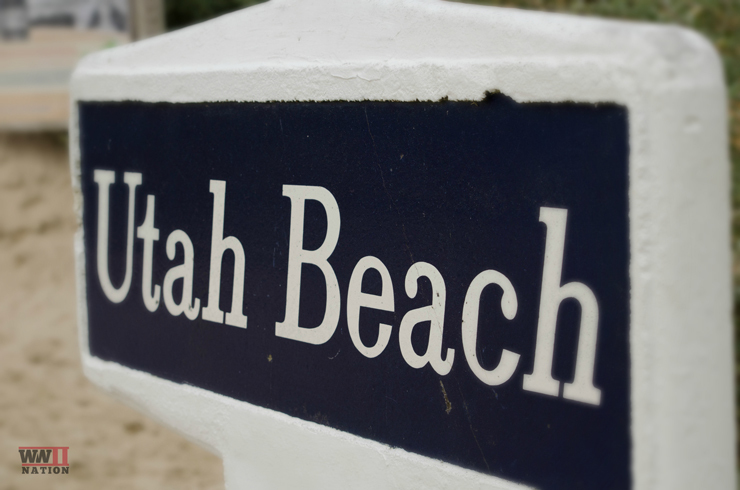 The ground is dramatically steeper with only four natural channels off the beach and inland. From our viewpoint on the cliffs overlooking Omaha you get a real understanding of how and why the Americans faced such a difficult task in taking their objective here with the terrain clearly favouring the defender. We moved into the heart of the cemetery at Colleville-sur-Mer, the sheer scale was truly staggering with over 9,000 souls buried here as well as another 1500 listed as having no known grave. It was a remarkable setting, beautifully cared for and incredibly moving walking between row-upon-row of these pearl white grave stones which seemed to stretch on for miles on end. Visiting the US Cemetery really hit home as to the reality of what happened here on D-Day and the proceeding fighting in Normandy. I had to take a few minutes away from the group just to quietly sit and reflect on all this, as every one of these grave stones was a son, a father or a brother to someone back home. Paul even highlighted to us a number of brothers that were buried here together, including a brother and a father buried alongside one another. 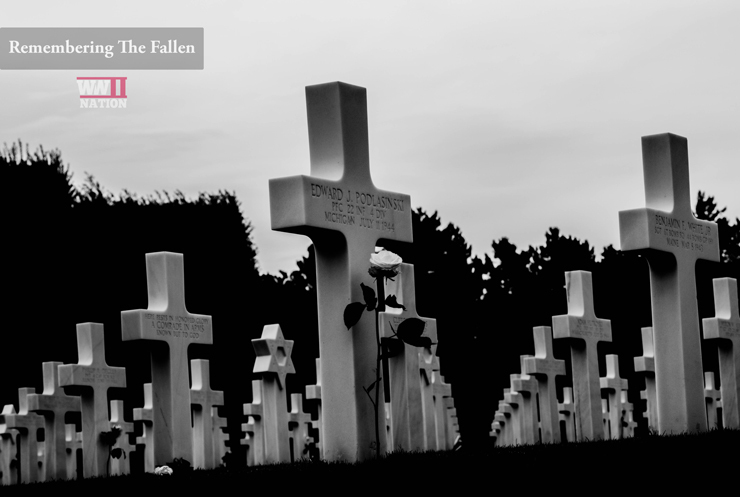 Leaving the serene setting of the American cemetery, we visited the Overlord Museum which I found very interesting being able to get up close to and learn about the various equipment, hardware, weaponry and vehicles used during the Second World War. 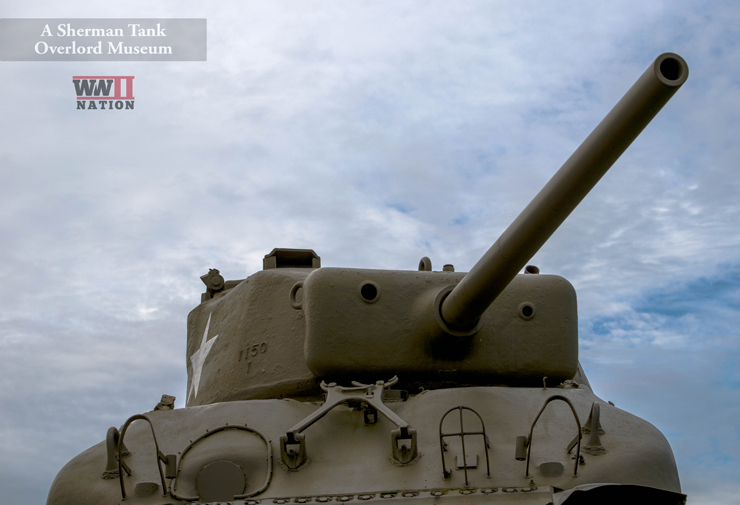 For those who are interested in this aspect of the Second World War then you will really find this museum of interest as it is packed full of Tanks, Weapons and other vehicles from WW2 in various period panoramas. 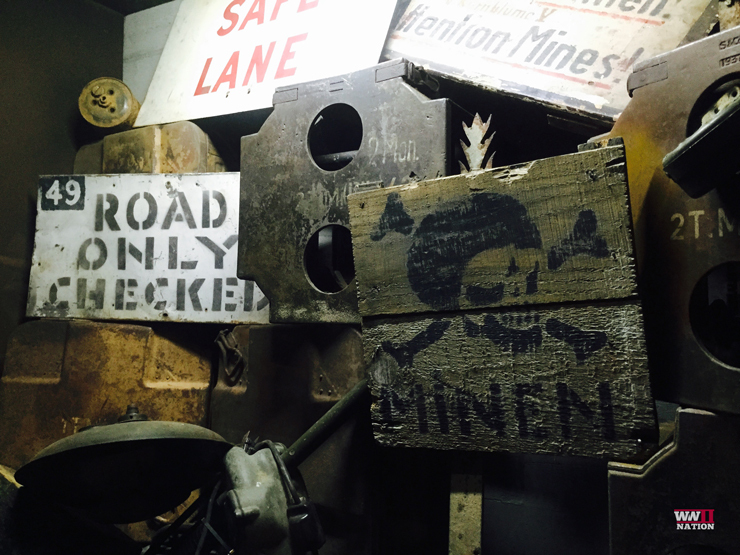 I was particularly intrigued to see this display of original signs and equipment to do with the engineers and there constant war on mine clearance. There is also an interesting shop on your way out of the museum and struggling to resist I ended up buying a 6th Airborne Polo Shirt with the motto ‘Go To It’ across the back. Be prepared to see this make an appearance or two in our proceeding videos. 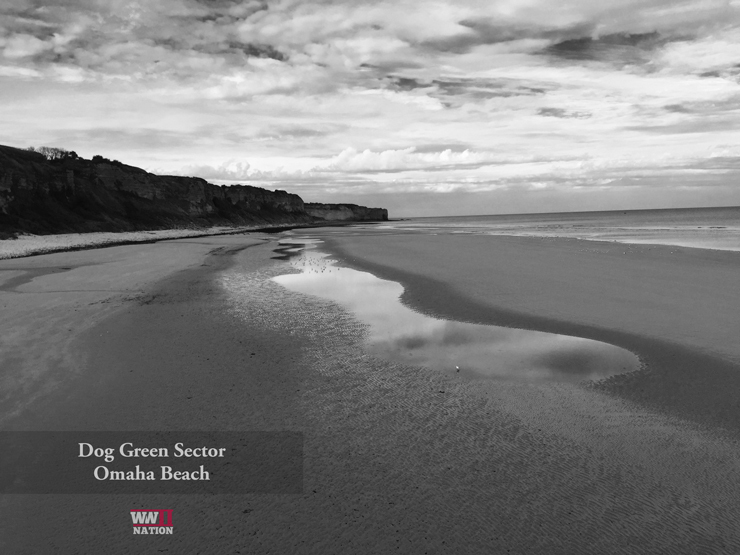 From here we moved onto Omaha Beach, and specifically Dog Green Sector where the US 29th Infantry Division were to land on D-Day. Having grown up watching the film Saving Private Ryan, it was incredible stepping foot on this beach and looking at just how far in distance the men landing here would have had to go to before reaching any sort of cover. Whilst Ross and the rest of the Leger group explored a little bit further down the beach, I ventured up onto the bluffs to an abandoned concrete bunker emplacement overlooking the beach. The vantage point was just astonishing, providing the defenders with fantastic unhindered views right down the whole stretch of beach. The firepower that the Germans were able to bring to bare on this beach was incredible, for example some eighty-five machine gun nests and thirty-five concrete pill-boxes as well as a host of anti-tank and artillery weapons were positioned on the high 150 feet bluffs looking down onto the beach. It is remarkable how under such weight of fire anyone managed to get off the beach at all. 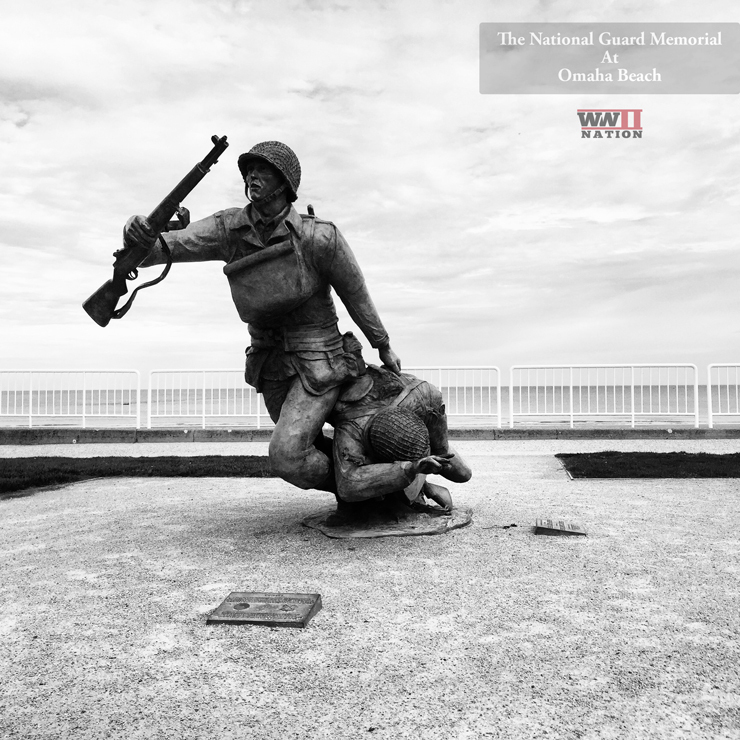 This five-mile stretch of beach became known as ‘Bloody Omaha,’ as the casualties here were staggering, nearly 3000 in total, far outweighing the costs of taking any of the other landing beaches. Intriguingly we learnt that the Americans unlike their British & Canadian counterparts did not utilise some of the specialist converted ‘Funnies’ on D-Day apart from the DD Tanks, and out of the 32 DD Tanks that were launched at Omaha only 5 of these made it onto the beach. 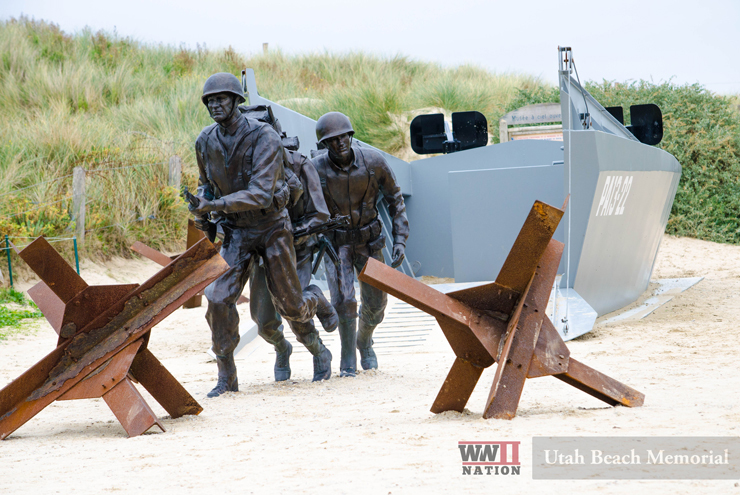 Above is a small monument to those brave men who landed here of the 29th Infantry Division who were a National Guard Unit and for them D-Day was in fact their first time in action. Following a jam-packed morning we departed Omaha Beach and headed to the American Airborne drop zones, first up was the site which the men of the US 82nd Airborne Division were tasked with taking on D-Day, St Mere Eglise. Ross and I got lunch from a lovely little cafe astride the town square run by two English ladies. Following some time out to enjoy our baguettes and our lunchtime views, we had a wonder round and explored the church at the heart of the town. Photographed here is a dummy and monument of Private John Steele, who was one of those 30 or so men of the US 82nd Airborne Division who were unintentionally dropped directly onto the town square on D-Day. 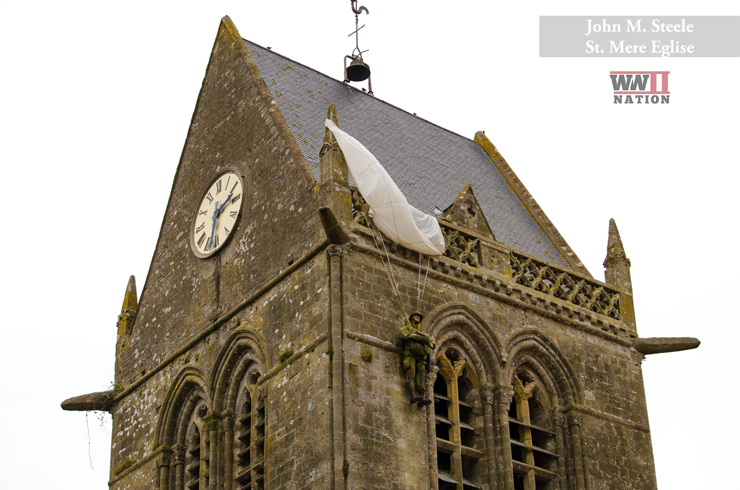 John’s parachute became snagged on the church and he feigned death which probably saved his life, a little while later he was brought down and captured by the Germans before eventually being liberated by his comrades when they took the town. 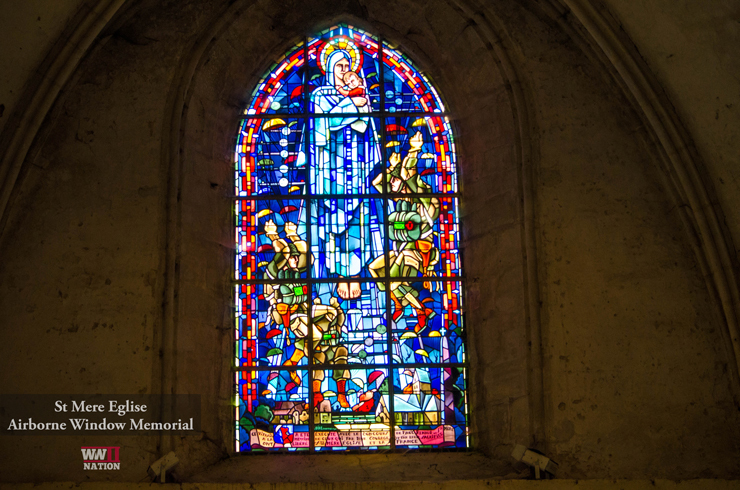 Wondering inside the church, you are instantly struck by the vibrance and colour of this magnificent glass window centrepiece above the door, which acts as a tribute to those men who landed here and helped liberate the town. After an enjoyable hour spent exploring the town and sights of St Mere Eglise, we ventured to our final landing beach of the tour, which was the right flank of the Allied landings, Utah Beach. It was here that the men of the US 4th Infantry Division landed along with their 2IC, General Theodore Roosevelt. Through a bit of good fortune caused by a strong current, the men actually landed further along the coast on a stretch of beach that was less well defended compared with where they were originally intended to land, so by comparison to Omaha for example the casualties were relatively light with around 200 men. I must admit I really appreciated stepping foot and walking upon each of the five Allied landing beaches, it helped give me a better perspective of the lie of the land and what each sector was like. I was surprised at the difference in the terrain between for example Omaha and Utah, and even the British & Canadian landing beaches which were a lot flatter. I was also very intrigued to see the life-sized Higgins Boat monument in person having seen a number of photographs by Paul on his website World War Two Revisited. It was very interesting to step aboard one of these LCVP’s which had played such a key role in landing troops on the Normandy shore over 70 years ago. We even had time for a quick photo in front of the Higgins Boat Memorial with Paul…shame that we were photo-bombed by another tour group who had just arrived as we took the shot. 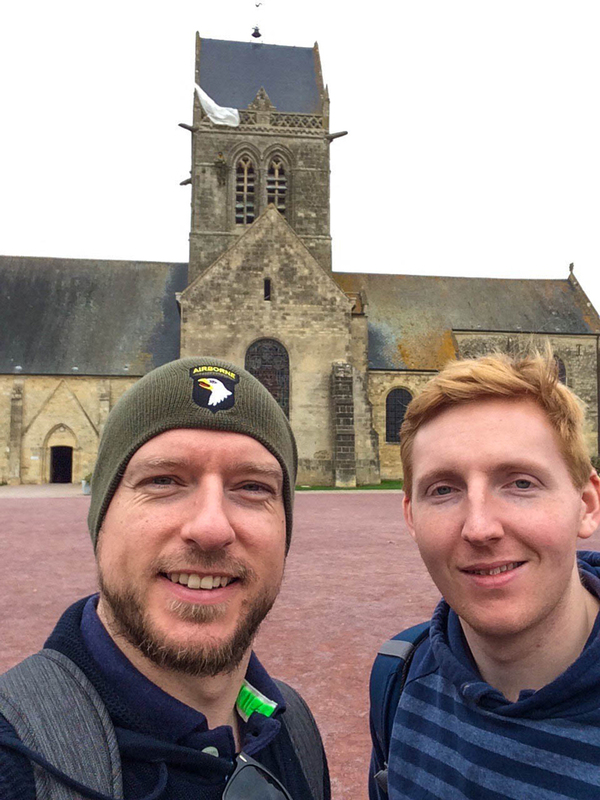 Having concluded our visit to Utah Beach, we headed slightly inland for the final stretch of our tour with a quick pit stop at the Major Richard Winters Leadership Memorial. 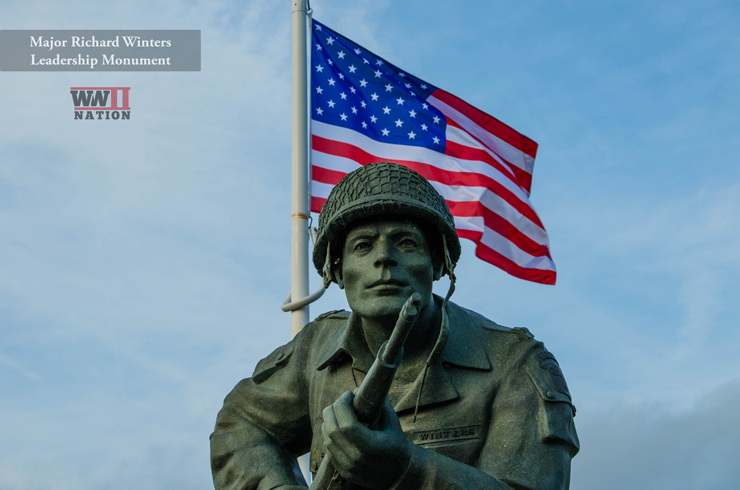 It surprised me to learn that the placing of the monument did not hold a specific historical significance to Winters but it is located within the drop zone of the 101st Airborne Division on D-Day. From here we journeyed to Brecourt Manor. Now as many of you may have guessed from Ross’s beanie hat you may have seen in the photos and videos, we are both big fans of HBO’s TV Mini-Series, Band of Brothers. 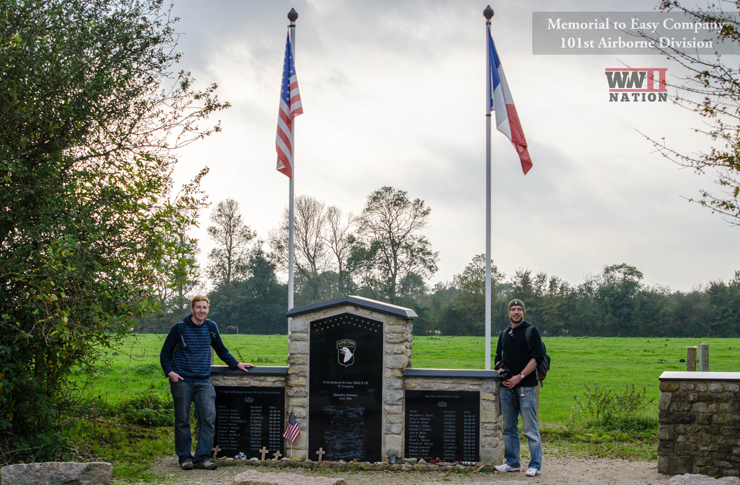 So, this was a particular highlight of ours to visit the site where Lt. Richard Winters and the men of Easy Company in the first few hours of D-Day made their assault on the German gun battery located in the field besides Brecourt Manor which had been firing onto Utah Beach. It was very interesting to learn from Paul about the gun site here, as it turns out it is slightly different than depicted in the series. 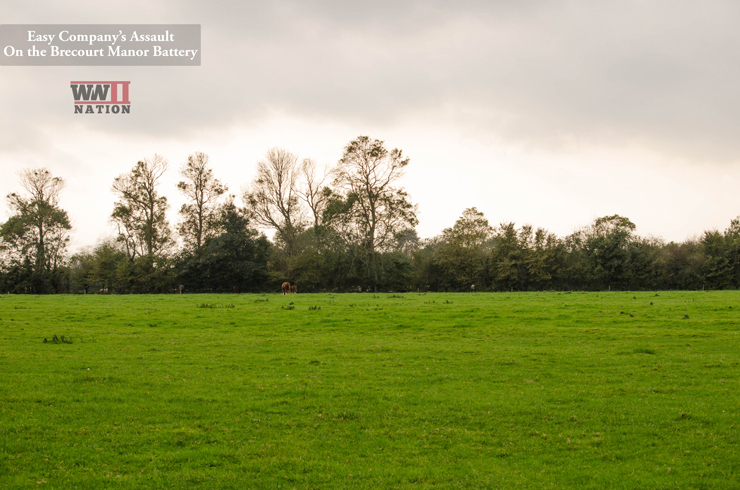 As part of the Dig WW2 TV Series, the site was excavated and the gun pits examined, they discovered no exact trench system linking the four howitzers, but instead the Germans had used a natural deep gully that ran along the hedge-line to move between the guns. Instead of any remnants of the guns, when they dug up the gun pits, they discovered a load of medical waste. Proceeding the landings the Army had quickly set up a hospital in the adjacent field (which you see behind us) and a medical orderly ordered to dispose of all the waste, had made full use of these pre-dug holes to save himself a lot of effort. This gave the team a much clearer idea of the medical history and procedures going on here. We finished our incredible tour of Normandy with a visit to the La Cambe German War Cemetery. 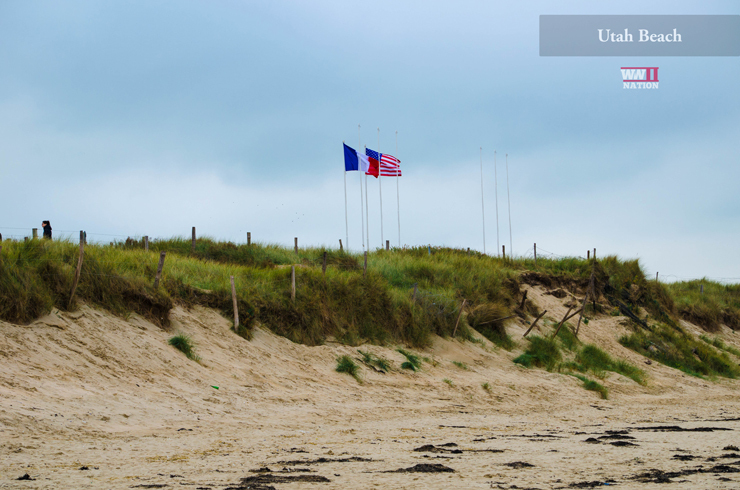 This site in the days following D-Day was initially used as a temporary US burial ground. It was intriguing to see over the two days how different the three cemeteries (British, American and German) we visited were. 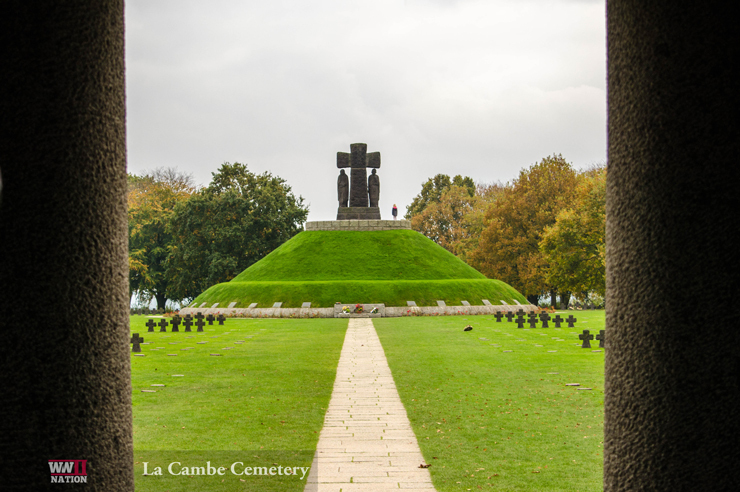 At La Cambe there are some 21,000 German soldiers buried here, some in mass graves, including right in the centre of the cemetery the central mound which holds 296 men of which only 89 were identified. We also visited the grave of former German Tank Commander, SS Haupsturmfuhrer Michael Wittmann who is buried along with rest of his crew here at La Cambe cemetery. 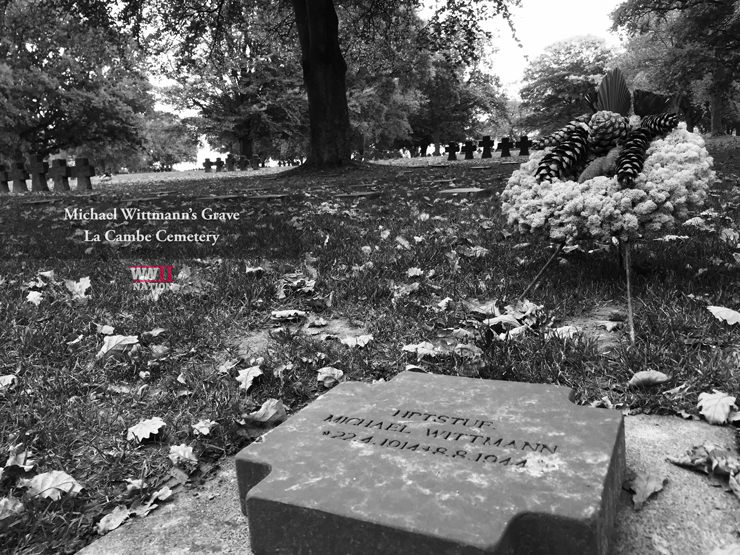 Wittmann, well known for his exploits at the Battle of Villers-Bocage, was killed in action on 08/08/1944 during a counterattack against the British who had taken the high ground near the town of Saint-Aignan-de-Cramesnil. There is a bit of controversy surrounding his death, with a number of different Allied units laying claim to having made the fatal shot. Before we departed La Cambe to return to our hotel, it was nice to bump into another of Leger’s guides and organiser of the Fallen Heroes of Normandy website and archives, Carl Shilleto who was also guiding another of Leger’s groups around the cemetery. 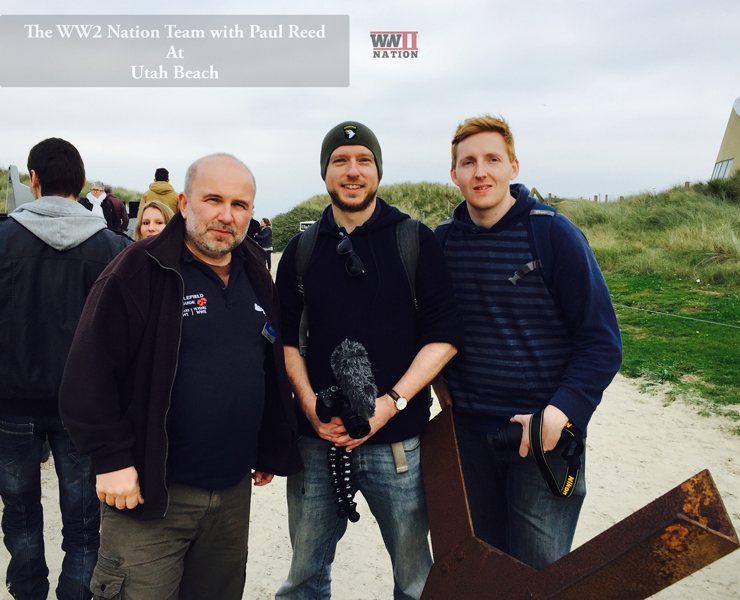 Ross and I just wanted to say thank you to Paul and the Leger Holidays team for a great trip, we both thoroughly enjoyed every moment of our D-Day exploration. 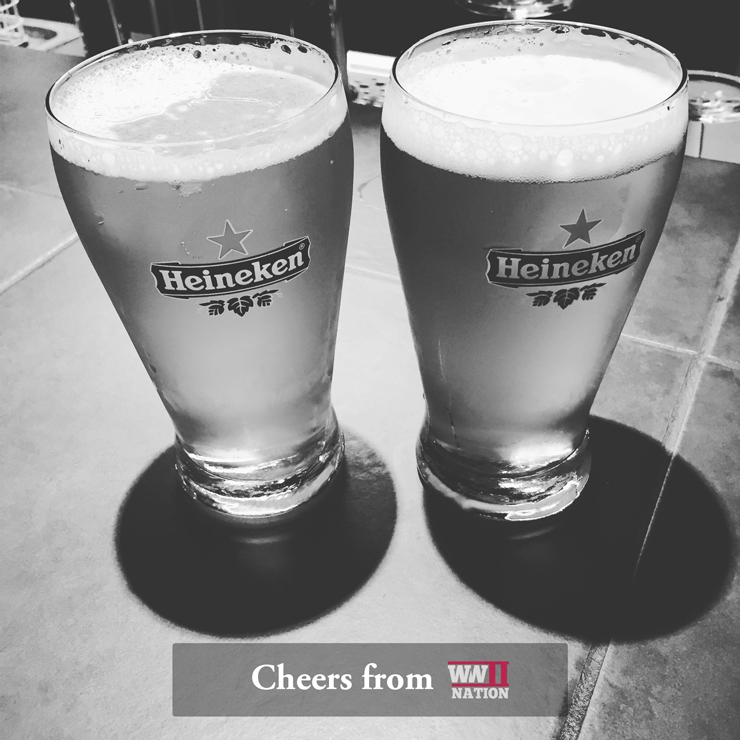 We would also like to personally thank you, our readers and subscribers for following our journey and we hope you will join us for our next adventure. 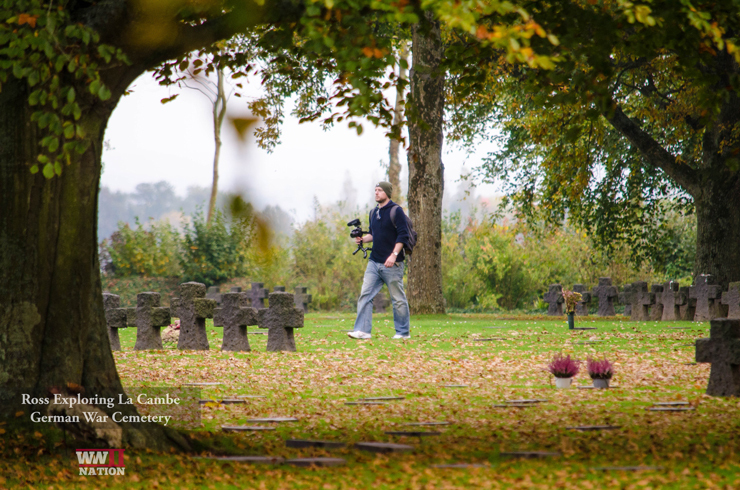 Coming up soon on the journal, we will be speaking with Leger’s Head Guide, Paul Reed about his experiences as a battlefield guide. 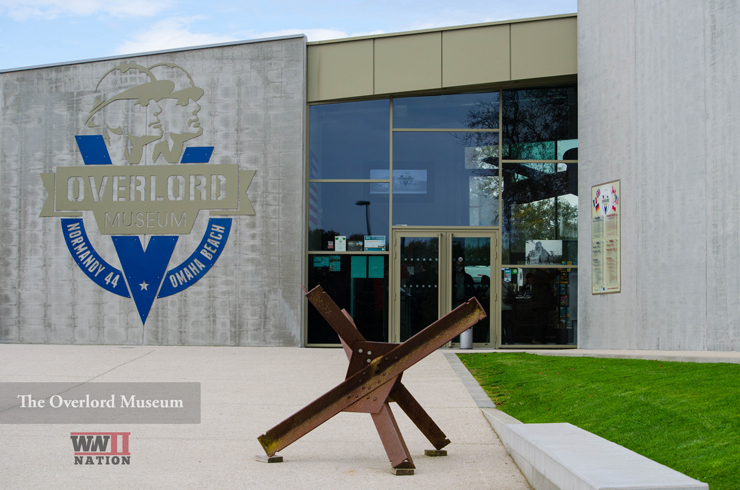 Find out more about Leger’s Normandy trips Here.